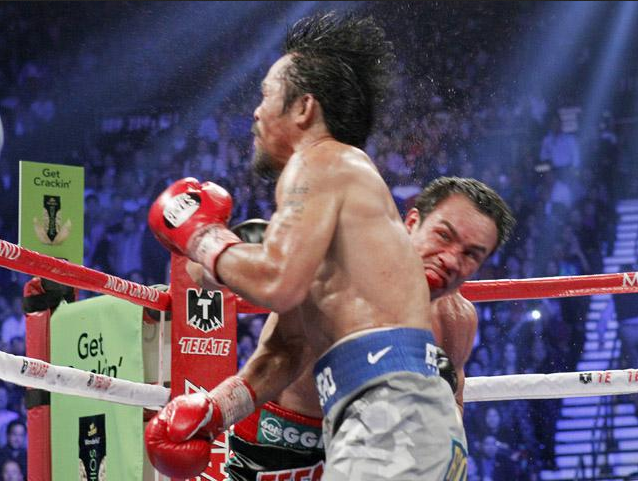 Manny Pacquiao: out-landed Juan Manuel Marquez, 94-52, in total punches, 68-41 in power punches. Manny Pacquiao is one of the most humble champion we ever have. He admitted he was overconfident. Manny vows to go back into training and fight again. Bob Arum says Pacquiao-Marquez 5 still possible. Manny is still my idol! That wasnt a lucky punch. That same punch put Pacquiao in the canvas before. Pacman got confident and walked into a powerful right hand. In previous fights that same punch hurted Manny. Good job by Marquez. He pushed the fight, he got hit and he landed the best punch. Both are great fighters and warriors. Lucky punch + steroids. He ain't the people's champ. He's a 1 out of 4 trick. 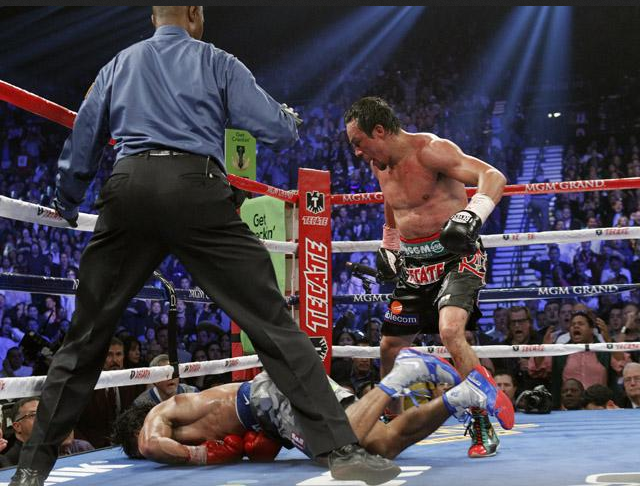 I think Marquez won the previous fights, but Manny got the decision. Manny earned that decision. I wouldn't mention the word steroids around Manny. 1 out of 4; one draw, one split and a majority desicion. The first three fight were too close. Now that KO was a perfect. Manny walked into that with his known offensive bouncing. He got destroyed. Juan manuel marquez is probably the best mexican fighter since julio chavez sr. The fact that people say it was luck shows their true knowledge of the sport. Jmm should of won the last fight and had manny from the start. Im interested in a broner vs jmm fight. There is no luck when then punch comes from one of the best counterpuncher. That sounds like a good match. Broner will have to risk more because he doesnt have the reach, height and experience of $May. When u spend two minutes in the floor after one punch, u got destroyed. Manny was fighting great and very brave until he got KO. The one punch KO is the most exciting thing in boxing.